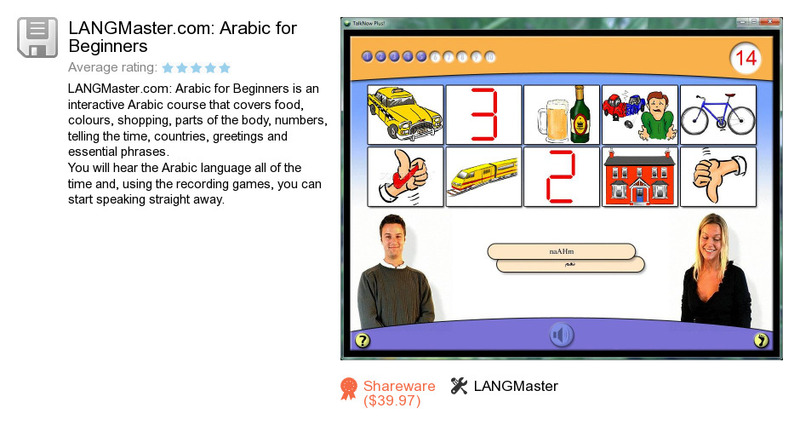 LANGMaster.com: Arabic for Beginners is a program developed by LANGMaster. We know of version 1.0. Version 1.0 is downloadable at our site. LANGMaster.com: Arabic for Beginners installation package has a size of 165,668,427 bytes. LANGMaster also publishes LANGMaster.com: Spanish for Beginners and LANGMaster.com: Russian-English + English-Russian Dictionary.